Haruka Touyama is a twelve-year-old girl with incredible precognitive abilites. But her accuracy in predicting the future has made her a target for any number of greedy corporations that would use her power for their own profits. 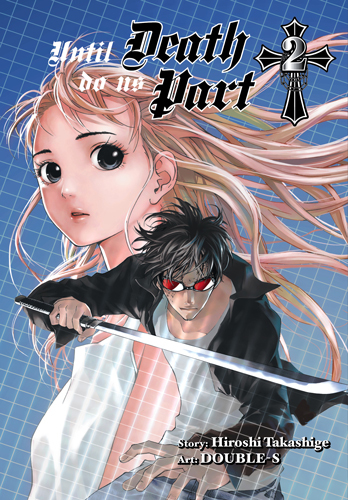 After she is taken from her family, Haruka uses her gift to seek out someone who can help her escape her captors and fixes upon a blind man making his way through the busy streets of Tokyo. Though it may seem an odd choice, Haruka's powers have not led her wrong. Despite hisinability to see, her chosen protector's fighting skills become apparent when he draws a sword from his walking stick and takes out a corporation's thugs. Haruka knows she will always be pursued and begs the mystery swordsman to keep her safe..."until death do us part."